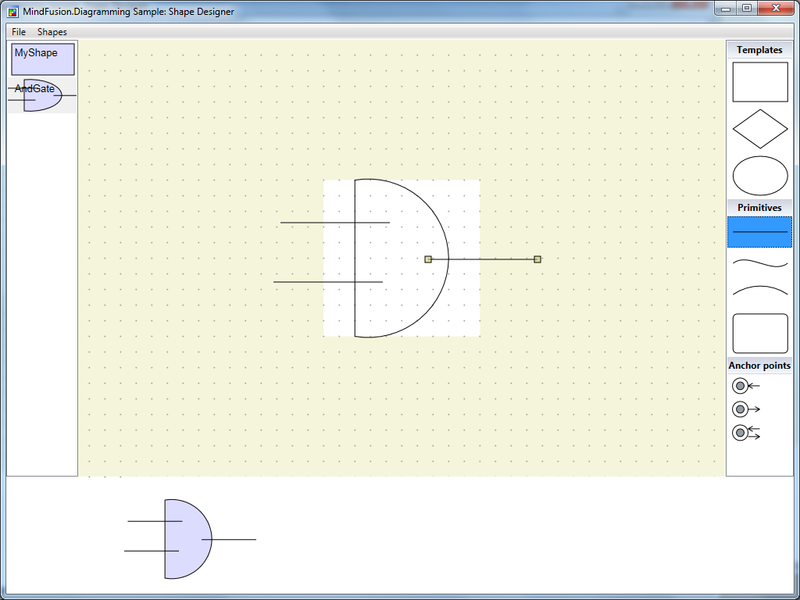 You can obtain a reference to the diagram lane grid by calling the Diagram.getLaneGrid() method. You can use the returned object to add rows and columns to the grid and customize its appearance. 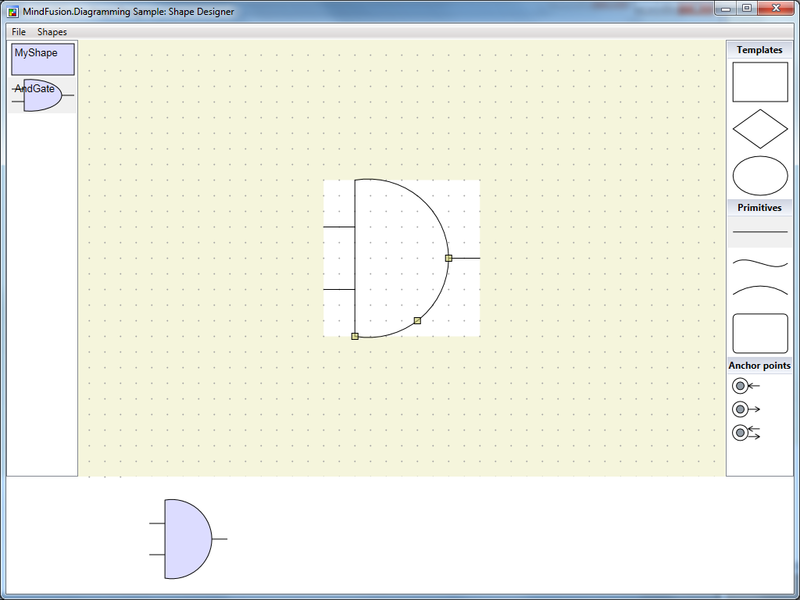 Finally, to display the grid, call Diagram.setShowLaneGrid(). The customization is omitted here for brevity, but the full code is available in the associated sample project. Similar rules can be applied to the links in the linkCreated event handler. Watch here the video for this tutorial. 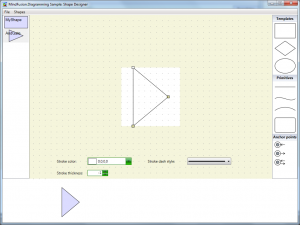 Run the Shape Designer application through the ShapeDesign.exe. 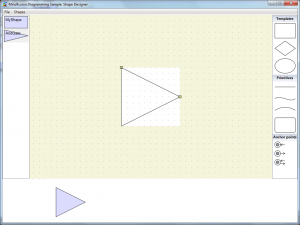 The Shape Designer opens up with a single rectangular shape ready to be modified. 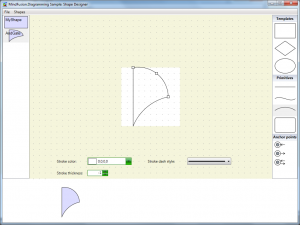 The Shape Designer does not currently support shape renaming (remember, it’s just a sample), therefore create a new shape through the Shapes menu and name it ‘AndGate’. 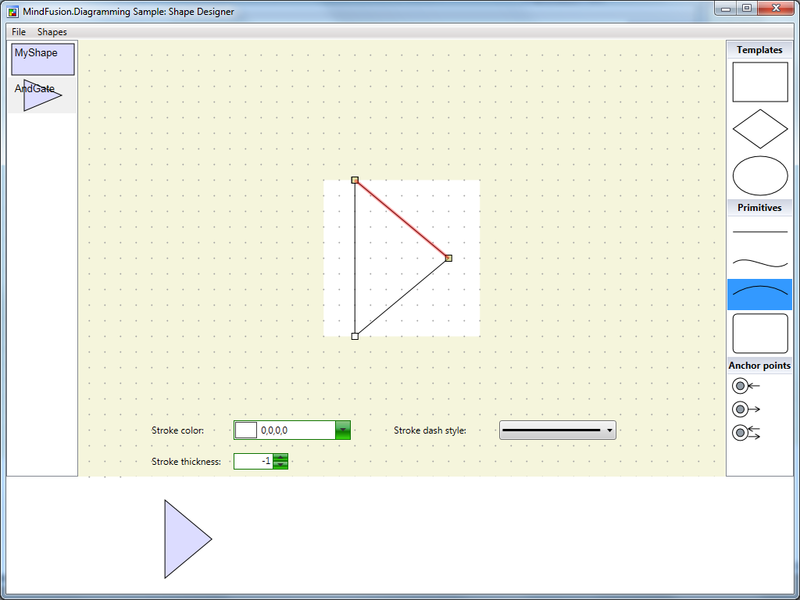 Select the newly created shape from the list on the left. 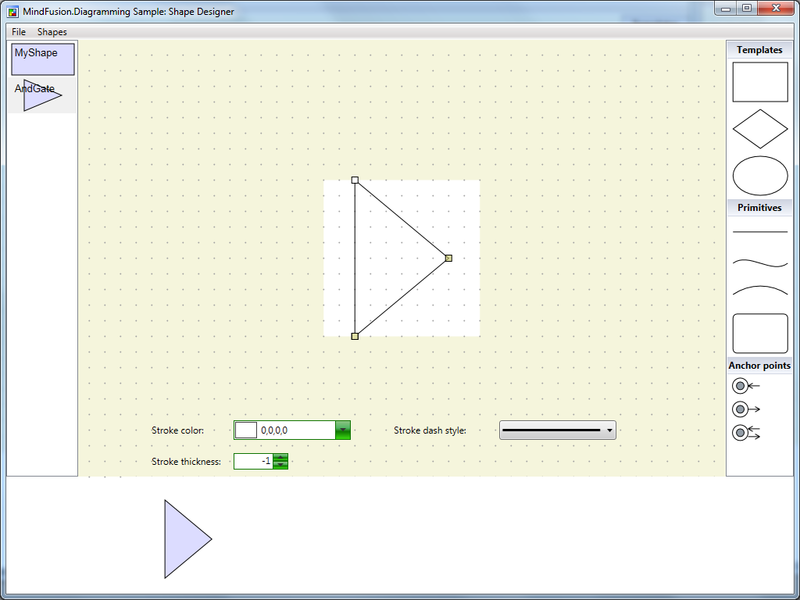 In the editor select the right segment of the shape’s rectangle and press the DEL button on the keyboard. 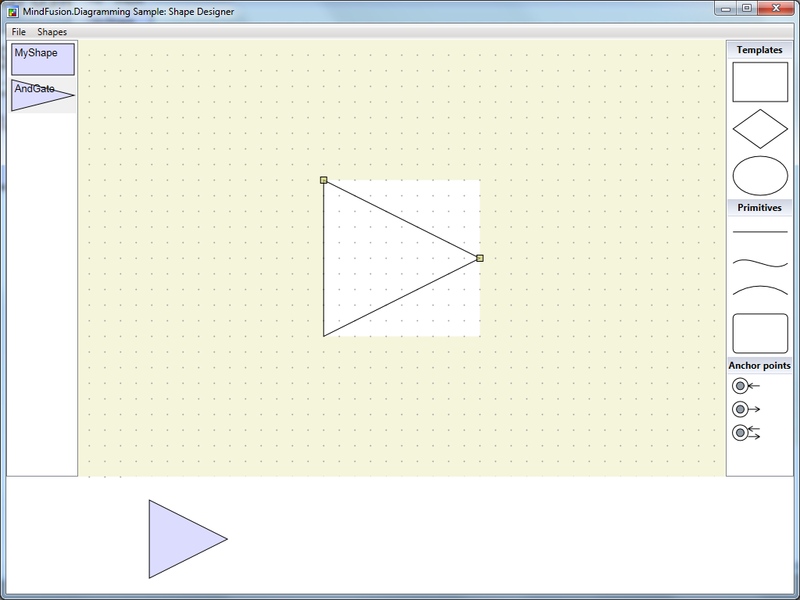 This will delete the segment and make the shape triangular. Adjust the end points of the shape segments so that it gets deflated on both sides. To adjust a segment, hover it with the mouse (so that its adjustment handles appear), then drag the handles. 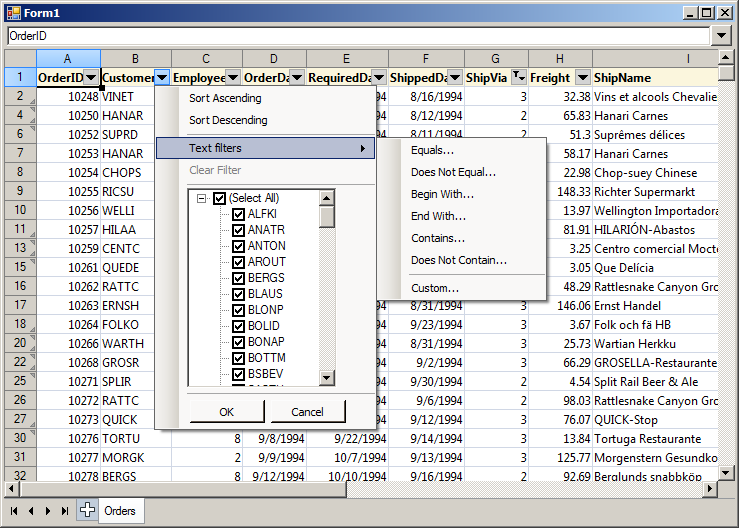 Select the arc primitive from the list on the right side of the screen. Drag this primitive over the top segment of the shape (until it gets highlighted in red) then drop. This will replace the line segment with an arc. Repeat the same process for the bottom segment of the shape. Adjust the middle point of both segments so that the shape looks protruded. 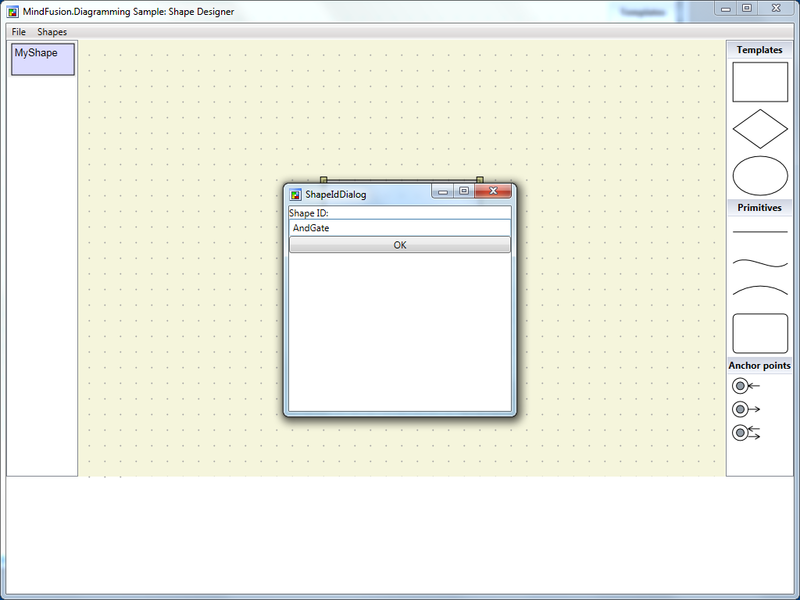 Then drag three line primitives from the list on the right to the editor pane. Be careful not to drop the primitives over existing elements because this will replace the elements. Align the newly created line primitives with the existing shape. 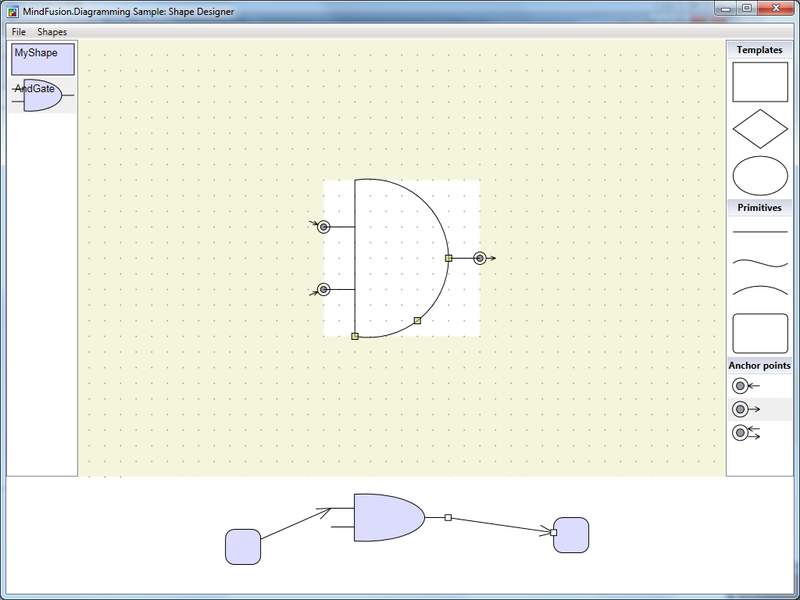 From the list with anchor points at the right side of the application, drag two anchor points from the first kind (input only) and one anchor point from the second kind (output only) and drop them inside the editor. 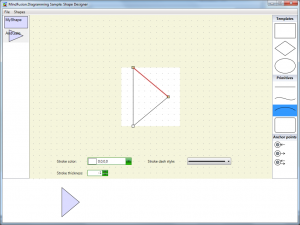 Align the anchor points with the end points of the line segments created in the previous step. This will conclude the creation of the ‘AND Gate’ shape. You can test the shape in the preview diagram at the bottom of the screen. Save the shape library. 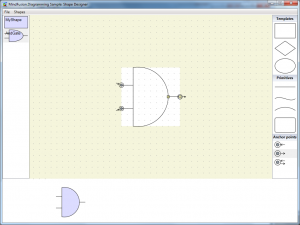 Using the same approach, recreate the other circuit shapes from the image above. 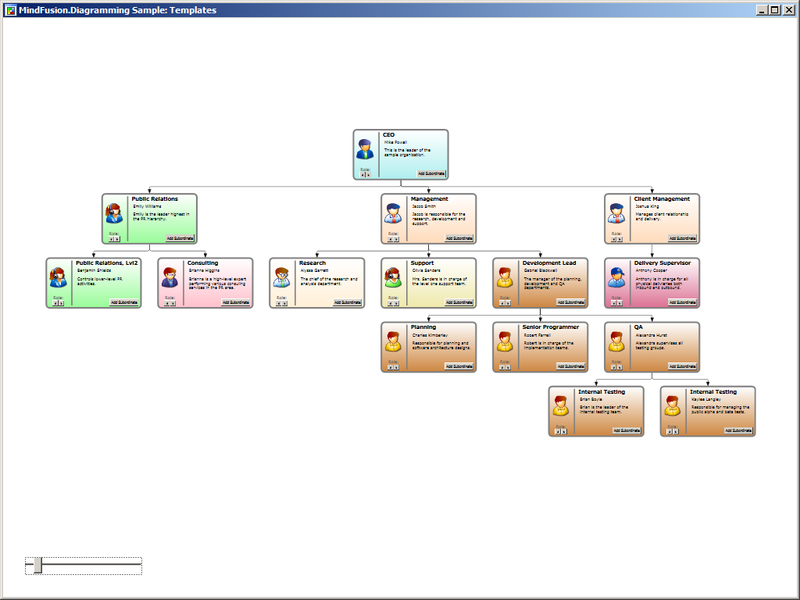 The following screenshot illustrates the complete library. You are welcome to ask any questions about the WpfDiagram control at MindFusion discussion board or per e-mail at support@mindfusion.eu. Click here here to visit the official page of the control. We hope you find this tutorial useful and thank you for your interest in MindFusion developer tools. This blog demonstrates how easily you can convert XLSX files to PDF using the Windows Forms Spreadsheet control. Create a new WinForms application and add the necessary assemblies to the project. Add a WorkbookView control to the main application window. Note, that this is not necessary for the conversion – it is done only to display the original XLSX file. The xlsxPath and pdfPath variables identify the respective XLSX and PDF file names. The workbook1 variable represents the Workbook displayed on the form. Once the conversion is complete, the PDF file is opened in the default PDF viewer by calling Process.Start. You are welcome to ask any questions about the WorkbookView control at MindFusion discussion board or per e-mail at support@mindfusion.eu. 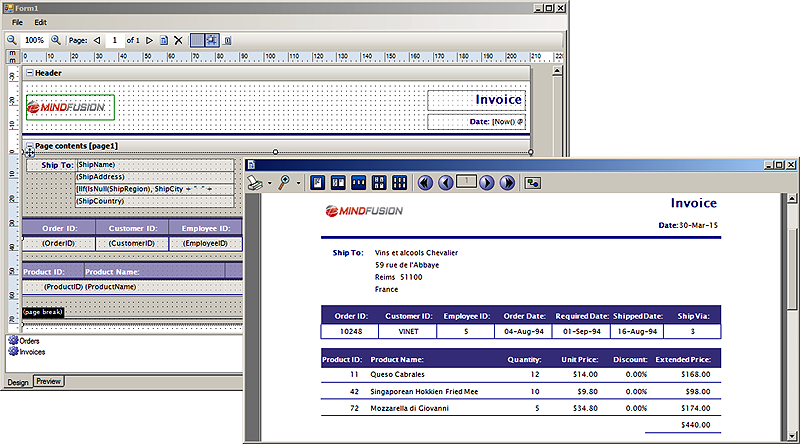 Click here here to visit the official page of the MindFusion WinForms Spreadsheet control. 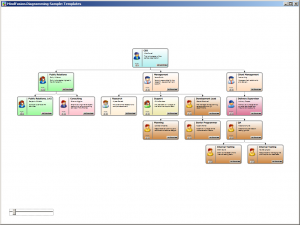 In this blog you will learn how to create a presentation of a hierarchical organization using MindFusion WPF Diagram control. The hierarchy is presented as a diagram, where each node represents an employee in the organization and each link represents the direct relationship between employees. The nodes in the diagram use custom templates to give a more detailed description of the employee, as well as to enable editing of various properties. To create the custom node, from the “Project -> Add New Item” menu add a new CustomControl (WPF) item to the project. This automatically creates a themes folder inside the project and a generic.xaml resource dictionary, which contains the template of the newly added class. 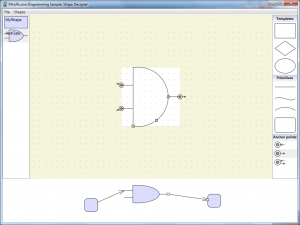 Rename the newly created file (and class) to OrgChartNode. Ensure that the new class derives from TemplatedNode rather than Control. Then define the following dependency properties in the class: Title, FullName, and Image, of types string and ImageSource respectively. The complete listing of the node’s template can be found in the project below. You are welcome to ask any questions about the Diagram control at MindFusion discussion board or per e-mail at support@mindfusion.eu. 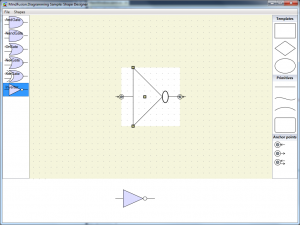 Click here here to visit the official page of the WPF diagram control. 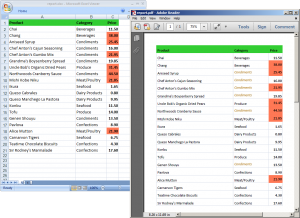 In this post we will discuss how to use the auto-filtering feature in MindFusion.Spreadsheet for WinForms. We start off by creating a new Windows Forms Application in Visual Studio, adding a WorkbookView control to the main form and adding the Northwind database (nwind.mdb) as a data source. For simplicity we only add the Orders table. After compiling the application we can add the DataSource and the OrdersTableAdapter as components to the main form. We traverse the rows in the data source and populate the spreadsheet by assigning the data to the Data property of the respective worksheet cells. 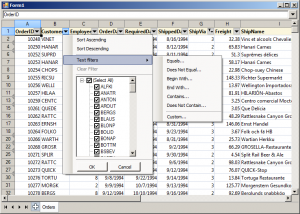 The first cell in each column is set to the name of the corresponding database field. Finally, the columns are resized to fit their contents through the ResizeColumnsToFit method of the view. The complete code of the data loading can be found in the LoadData method. Auto-filtering is enabled by calling the AutoFilter method of the CellRange class. If the CellRange represents a range of cells, then auto-filtering is applied to that range. If the CellRange represents a single cell, then auto-filtering is applied to the rectangular area of data cells, which includes this cell. In this application, we enable auto-filtering on the loaded data, by calling AutoFilter on cell A1. In addition, we apply auto-filtering criteria on the 6-th column (ShipVia) by calling the AutoFilter overload. 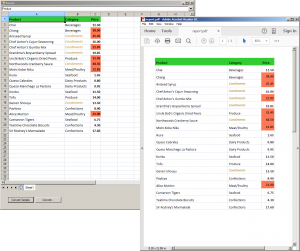 About MindFusion.Spreadsheet for WinForms: A powerful .net spreadsheet component with great capabilities for editing, styling and formatting large amounts of data. 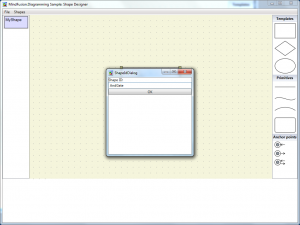 We start off by creating a new Windows Forms Application in Visual Studio 2010 or later. Change the target framework of the application to “.NET Framework 4” (or later). The ReportEditor component that will be used as an in-place invoice editor requires at least .NET 4. Add the ReportEditor component to the main form, set its Dock to Fill. 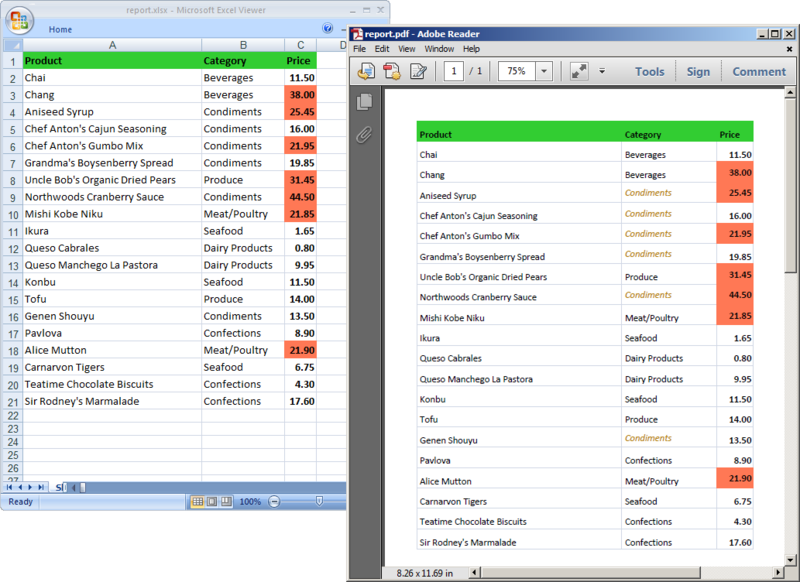 In addition, we need to register the two tables as data sources in the report editor. This is essential because these data sources are used by the invoice report. It is also important that the data sources are registered before the report is initially loaded through the OpenReport method. 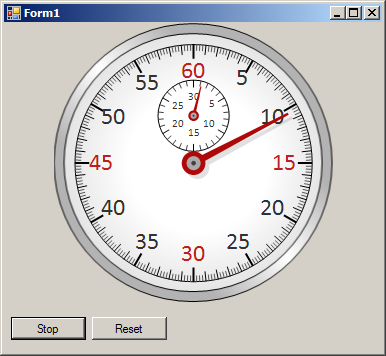 This blog will demonstrate how to create a simple stopwatch based on the OvalGauge component (part of MindFusion.Charting for WinForms and MindFusion.Pack for WinForms). We start off by creating a new Windows Forms Application in Visual Studio and adding an OvalGauge control to the main form. Set the gauge’s Dock property to Fill and its Name to “stopwatch”. In addition, add four custom intervals to the MajorTickSettings.CustomIntervals collection, representing the intervals [0-0], [15-15], [30-30], and [45-45] respectively. Set the Fill property of each custom interval to (187, 31, 33). These objects indicate that the labels inside the corresponding intervals will be colored in red. For simplicity, the properties of the minute scale are omitted. They are similar to those of the second scale, the main difference being that the minute scale is positioned and sized through the ScaleRelativeCenter and ScaleRelativeRadius properties. In the OvalScale Collection Editor dialog add a pointer to each of the two scales. 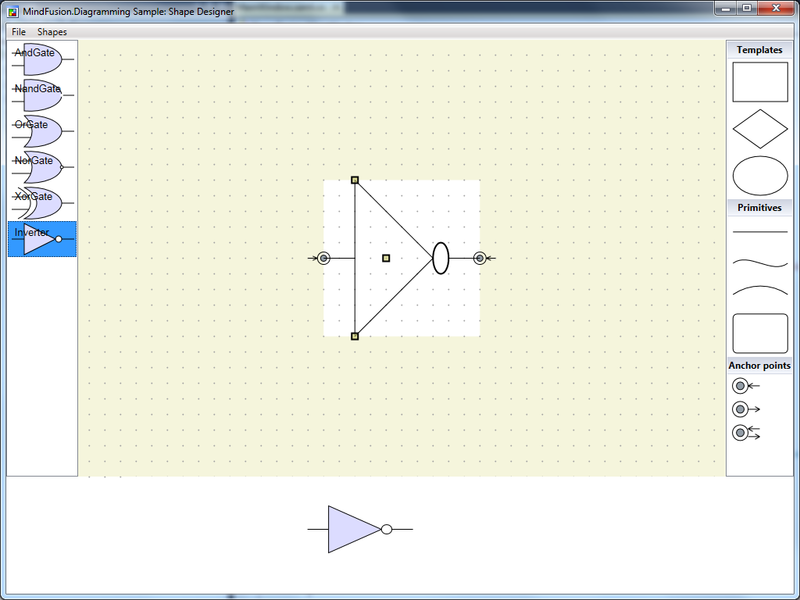 To do this, select the scale, navigate to the Pointers property in the grid and press the ‘…’ button or F4. 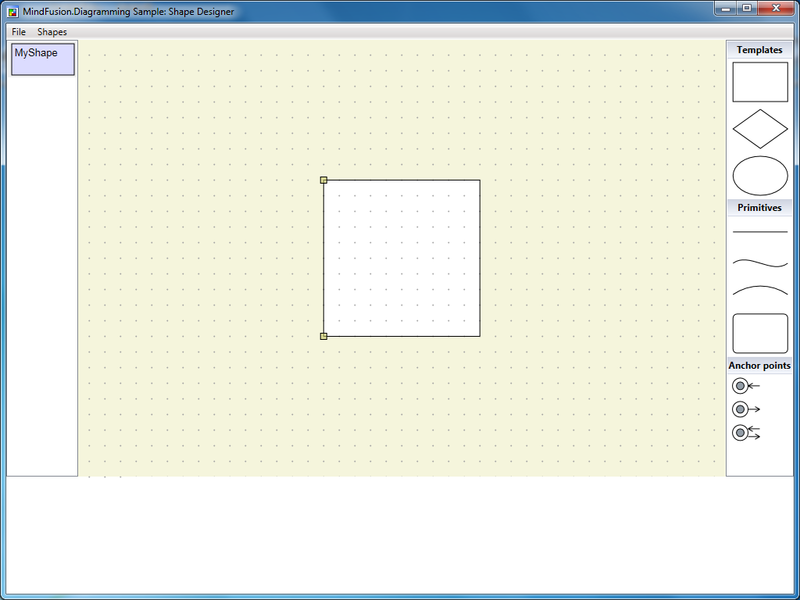 This will open the Pointer Collection Editor dialog. 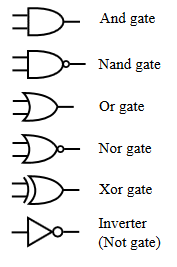 Name the pointer of the minute scale “MinutesPointer” and the one in the second scale – “SecondsPointer”. We will use these names later in code to identify and search for the pointers. Set the width of the two pointers to 30% and 20% respectively. Then close all editors. We will custom draw the pointers so there is no need to specify any more properties. To draw the pointers, handle the PrepaintPointer event of the OvalGauge class. This event is raised for each pointer in the gauge individually before the pointer is painted by the control. The event can be used to cancel the default pointer drawing by setting the CancelDefaultPainting to true. A simplified version of the event handler that paints the two pointers is listed below. Now we need means to start, stop, and reset the stopwatch. First, declare two member variables in the form – startTime and elapsedTime, of type DateTime and TimeSpan respectively. The first variable will store the time when the stopwatch was most recently started. The second variable will store the total elapsed time. Finally, handle the Tick event of the timer. 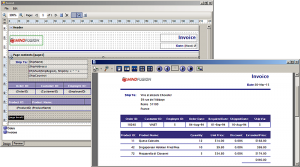 About MindFusion.Charting for WinForms: A professional programming component for WinForms, which lets you create remarkable charts and gauges fast and easy. The tool supports all major chart types – line, pie, radar and bar – and numerous variations of them – column, area, bubble, polar, doughnut etc, as well as oval and linear gauges. 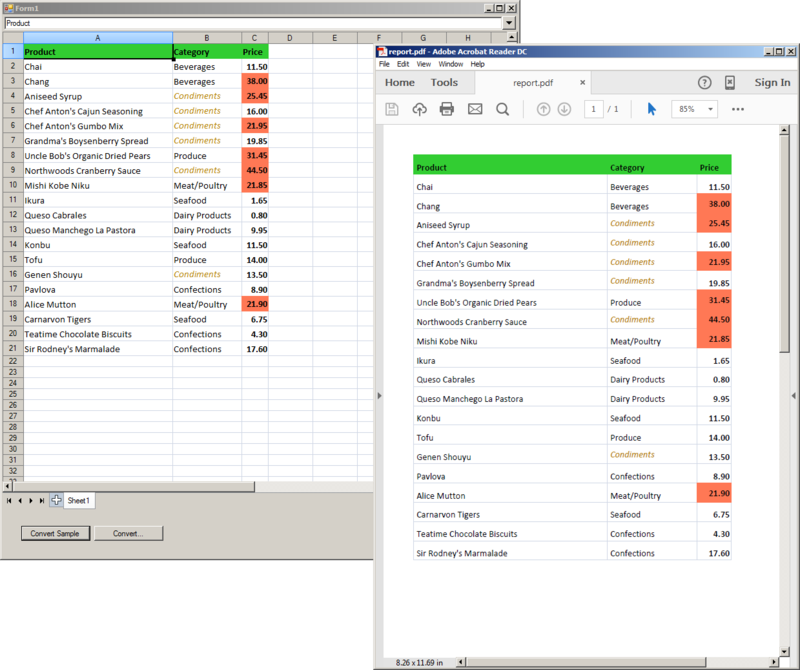 Starting with version 1.2, MindFusion.Spreadsheet adds support for formatted text. 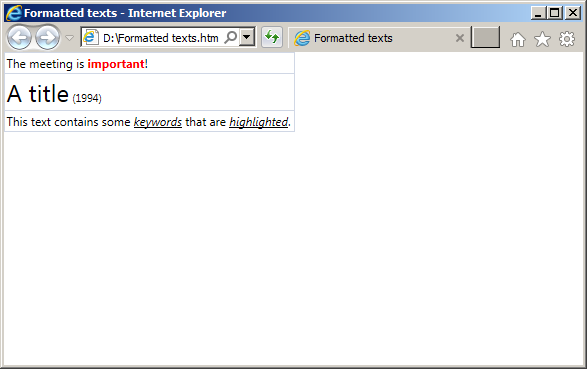 The control can import, create, display and export formatted texts. 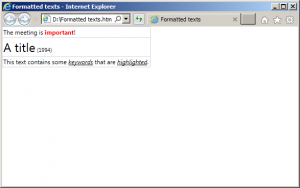 In this blog we will demonstrate how to create formatted text in a cell. As with all previous blogs we start off by creating a new Windows Forms Application in Visual Studio and adding a WorkbookView control to the main form. 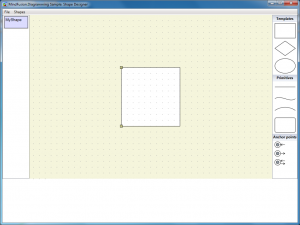 The WorkbookView displays a Workbook with a single worksheet. In this blog we will discuss how to convert an existing XSLX file to PDF using MindFusion.Spreadsheet for WinForms.